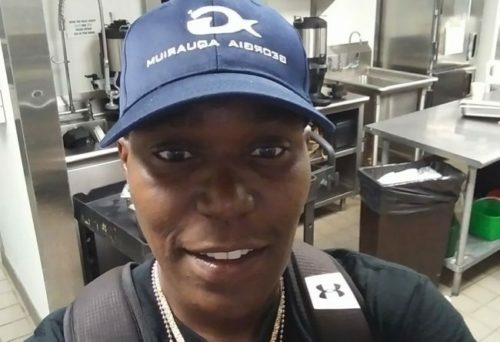 Friends and family of Nino Fortson are grieving following the early Sunday morning shooting death of the gender nonconforming Atlanta resident. Fortson, 36, was a member of Atlanta’s LGBTQ ballroom scene and also went by Nino Starr and Nino Blahnik. Fortson was shot near the intersection of Woods Drive and Donald Lee Hollowell Parkway in Northwest Atlanta around 2 a.m. Sunday, according to the Atlanta Police Department. Police tell Project Q Atlanta that a witness at the scene said Fortson got into a verbal altercation with two men and two women, and that during the argument, Fortson pulled a gun and fired it into the air. The witness said he walked away, but a short time later heard gunshots and looked back to see Fortson on the ground and one of the men limping away. Fortson was transported to Grady Memorial Hospital, where they died of their injuries. Police have not found the identity of the shooter or shooters and are calling it a death investigation. News of Fortson’s death spread through a Facebook post from Kamaro Blahnik, father of the House of Blahnik. In the post, a person identifying themselves as Fortson’s partner, Tera, confirmed the death and said details about a memorial service are to come. “Yes, she was killed today,” Tera said. In the same post, Blahnik refered to Fortson as “my son.” Fortson’s Facebook profile identifies Fortson as female, but multiple Facebook commenters refer to the victim using he/him/his pronouns. Atlanta police said they are involving the department’s LGBT liaisons in the investigation. “Our preliminary investigation did not in any way indicate that this individual identified as transgender. And we have no evidence at all that such an identification played any role in this death,” Officer D.T. Hannah said. Crime Stoppers Atlanta is offering $2,000 for information leading to solving Fortson’s death. Project Q Atlanta is a news gathering partner of LGBTQ Nation. For more local coverage, visit their website.